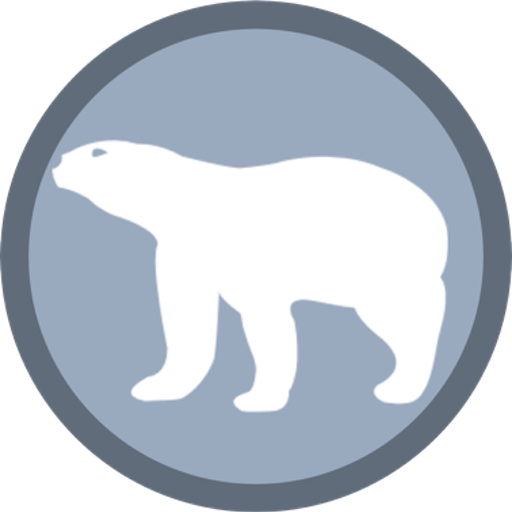 The polar bear worldwide population is divided into 19 discrete population sizes many of which are quite stable but few of them are threatened. Scientists however maintain that the overall decline in the bear’s population might be caused by numerous factors. 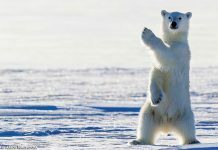 The scientific explanation on polar bear’s deaths mostly revolve around climate change in that many seem to believe that global warming causing arctic ice to melt is mainly responsible for diminishing bear’s population. But there are many other factors that cause polar bears to die. Polar bears find it hard to search for food especially in ice-free summer months. They can live without food for as long as 4 – 5 months after that the bear becomes too weak to hunt. Ice bears can go by months in fasting only if they consume a lot of seals because they get fats out of it. Each year many polar bears die of extreme hunger. Main Article: Why Do People Hunt Polar Bears? 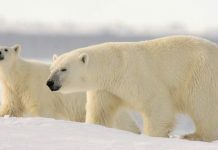 Except in the United States and probably Canada polar bears are hunted legally not only by the indigenous people but also by the non-native professional hunters. In Russia anyone can hunt ice bears and people usually sell polar bear’s skin, hides, fur, and even meat in the village market. The bear is nevertheless a precious commodity in the native towns. 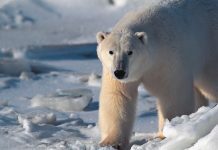 The commercial worth of polar bears makes it rather vulnerable to many human hunters. 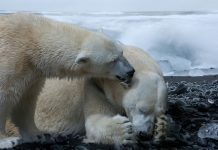 Main Article: How Polar Bears are Affected By Global Warming? The global temperature of the earth’s surface has risen by 1.6% over the past 50 years. 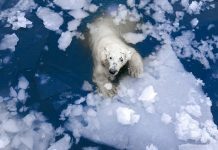 This has significantly caused the arctic’s ice to melt quickly leaving bears to rely on land preys rather than the seals. Polar bears hunt seals standing on the ice floes if there is no floe there’s no hunt. If bears can’t hunt bears can’t eat. 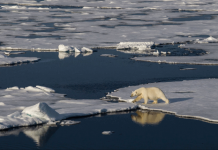 The climate change is thought to trigger arctic ice to melt quickly than ever. Now the bear must cover great distances in swimming. It is extremely difficult for bears to swim that much even though they are remarkable swimmers; they don’t really live in water like sharks do. 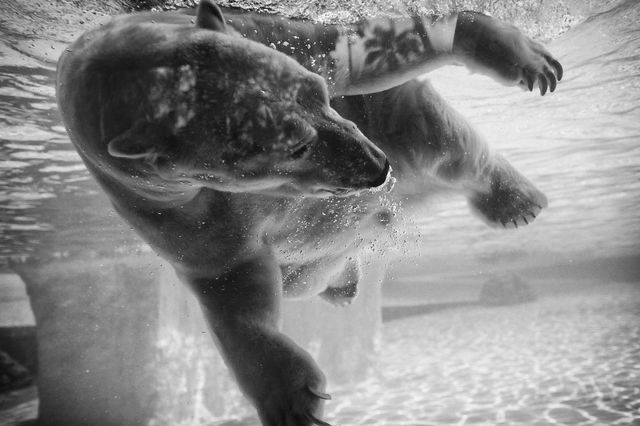 Young bears can only swim for shorter duration. Polar bears fight mostly end up in major scratches or lost tooth but none of them dies in fighting. It happens only sometimes that dominant males fight hard to kill each other. When an adult bear attacks a young bear the latter is likely to get killed and sometimes being consumed. The adults fight each other during breeding season to win over the female.